– At the end of 2012, nearly 82 million US consumers, or one-third of all mobile phone users in the country, used a social networking site on their phone at least monthly. 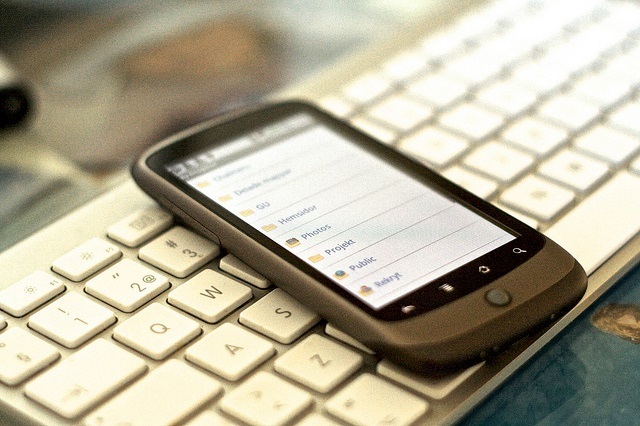 In 2013, that figure is expected to grow to 40% of mobile phone users. – Mobile users log in more frequently and spend more time on social media sites since uploading photos from a smartphone to a social site reinforces the interaction. – According to Nielsen, Twitter’s US mobile web visitor count rose 140%, to 42.4 million. Twitter also saw faster growth in its mobile app audience, increasing 134% to 22.6 million. – Mobile users expect seamless integration across devices and the ability to interact when and how they want to. – Lower the barrier to entry: Whether it’s a contest, an app download or simply a call to action to click on a link, the goal should be to make it easy for users to accomplish the action. – Sending users to a webpage that is not mobile-optimized is a recipe for irritation. Social media marketing can attract people to a brand’s message but if the experience after leaving the social media site is less than optimal, it will reflect badly on the brand. – Facebook says more than 300 million images are uploaded to the site every day, many of them via mobile. On mobile devices, particularly phones, social media users are typically in browse mode, scrolling quickly through their newsfeed to catch up on what friends are posting, or to post a status update of their own. In this environment, pictures capture a lot more attention than text. For that reason, marketers have gravitated toward using images in their page posts. 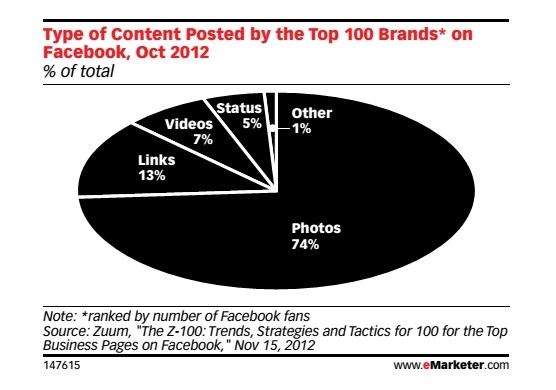 According to a review of the top 100 brands on Facebook (ranked by the number of fans), 74% of all posts made in October 2012 were photos.